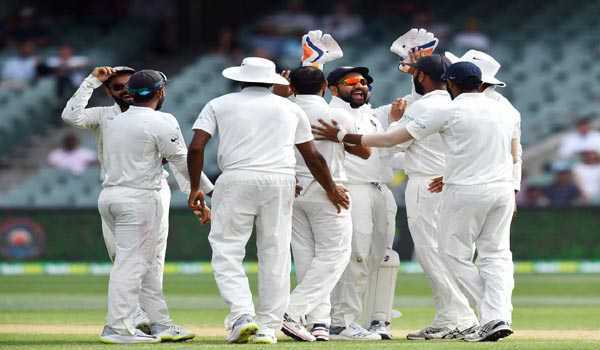 Perth:All of Ravichandran Ashwin, Rohit Sharma, Kuldeep Yadav and Prithvi Shaw have been ruled out of the squad for India's second Test against Australia here, starting on Friday. The BCCI announced India's 13-member squad for the Test, and stated that Ashwin, Rohit and Shaw are all carrying injuries and will be unavailable for selection.However, Kuldeep, the left-arm wrist-spinner, has been dropped from the XI, keeping in mind the pace-friendly conditions at the Perth Stadium. Ravindra Jadeja is the only specialist spinner in the squad, while pacemen Umesh Yadav and Bhuvneshwar Kumar are in contention for a starting berth, having missed out in Adelaide, and will hope to get the nod in juicy conditions. Ashwin, who picked six wickets in Adelaide, is carrying a left-sided abdominal strain and will play no part in Perth, while Rohit jarred his lower back while fielding in Adelaide and is undergoing treatment at the moment. is recovering well from his left ankle injury but still undergoing treatment. India won the Adelaide Test by 31 runs to take a 1-0 lead in the four-match series.